Couple Jake Hurwitz (Jake & Amir, If I Were You) and Jillian Vogel (CollegeHumor Originals, Bad Internet) join Luke to throw down over whether they'd buy their hypothetical child a horse. 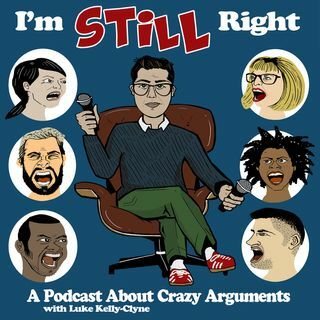 Later, the group discusses a Listener Submitted Argument that tackles the etiquette for bailing on a friend you haven't seen in years, and Luke laments tablets at check-out. This week's episode is brought to you by Brooklinen, Blue Apron and Squarespace.